Well, that sounds hopefull... They're finally investigating an adena selelr on the server. But do they..? When looking at (part of) the stream, it clearly shows that a dwarf by the name of Pe4alka is owned by this dude and you'd expect that they'd ban that one as well already. 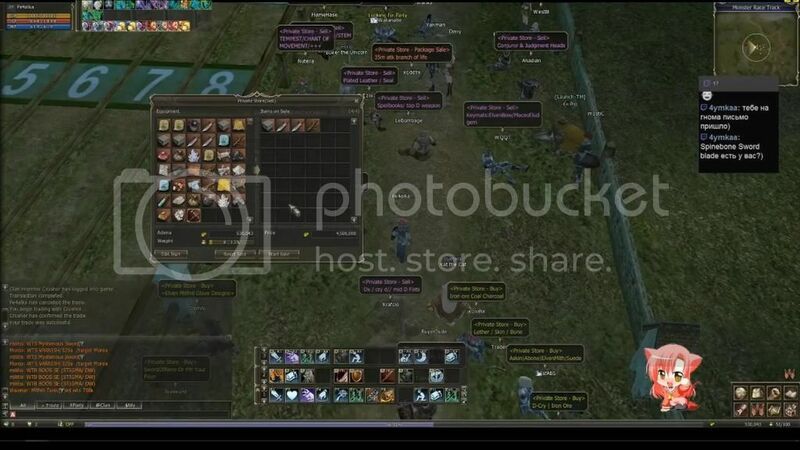 The above 2 pictures are actually stills of the stream, with the in-game still at 4:04 where the player sets his dwarf to sell the (through botting aqcuired) key materials for 4.5M adena, and the right still shows very clearly that this player recieved money for being CoinOfLuck.com. 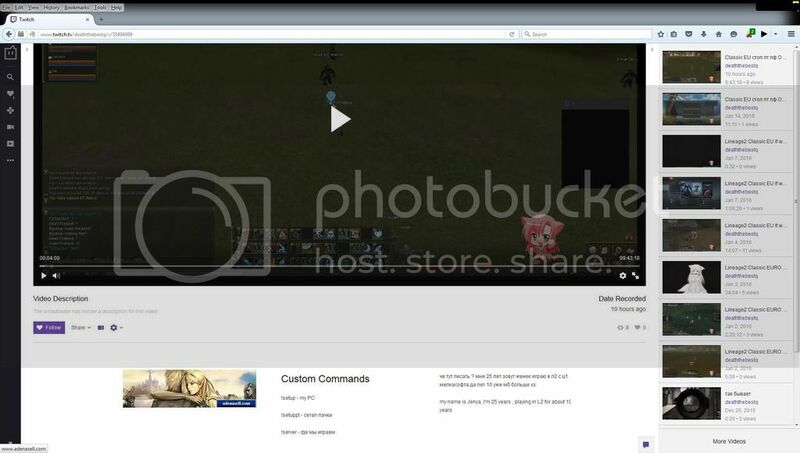 Not to mention, his twich stream page also clearly has a link to adenasell.com. With the promise of Amarantha & DeepBlue to investigate this player from the stills they've seen and the information I've provided you'd expect that this Pe4alka dwarf would be banned as well, or at least be imprisoned during the investigation. 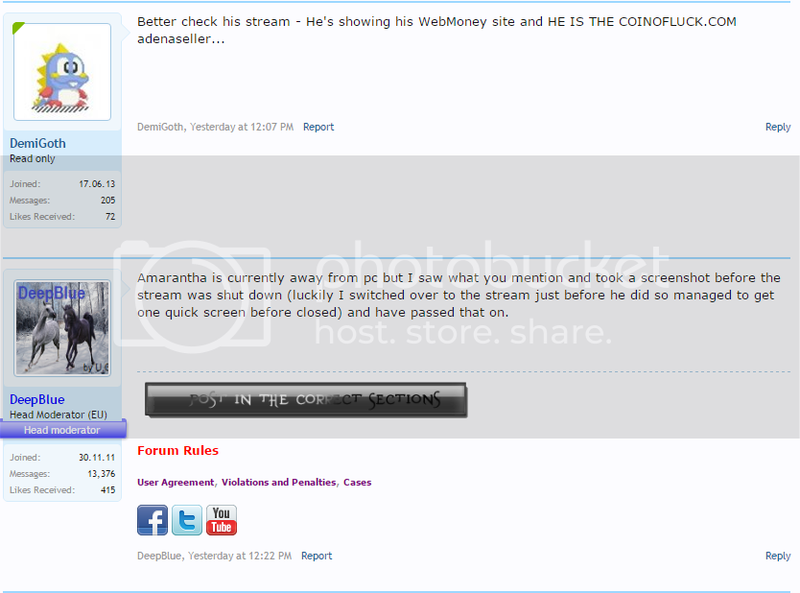 Well, it seems that both Amarantha & DeepBlue both lack intelligence to think ahead like this. When I reinstalled L2C this morning just to ake a peek, I found this dwarf at the Monster Race Track, still selling these key materials, but now only having 1.88M left in the store. 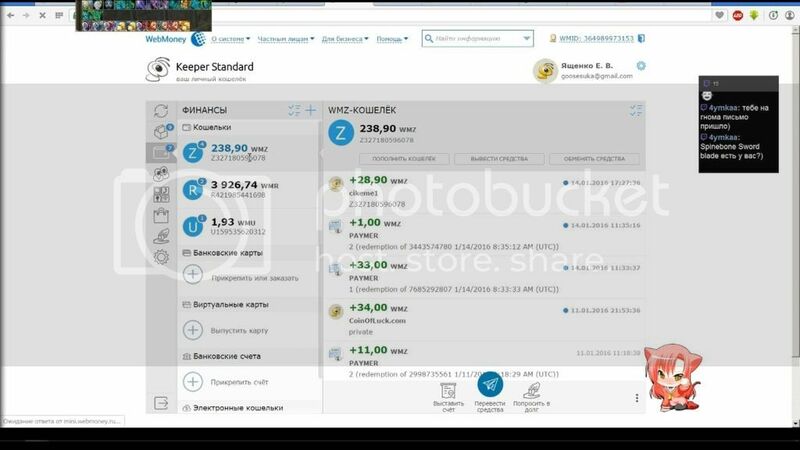 This implies that Amarantha & DeepBlue have allowed an adena seller to make a 2.7M adena profit (which translates at the current rate to around $70, which is a lot for a Russian player! ), if not more. MORE..? yes, the still from the stream shows he has lots of key materials and he might have added new stuff later on. 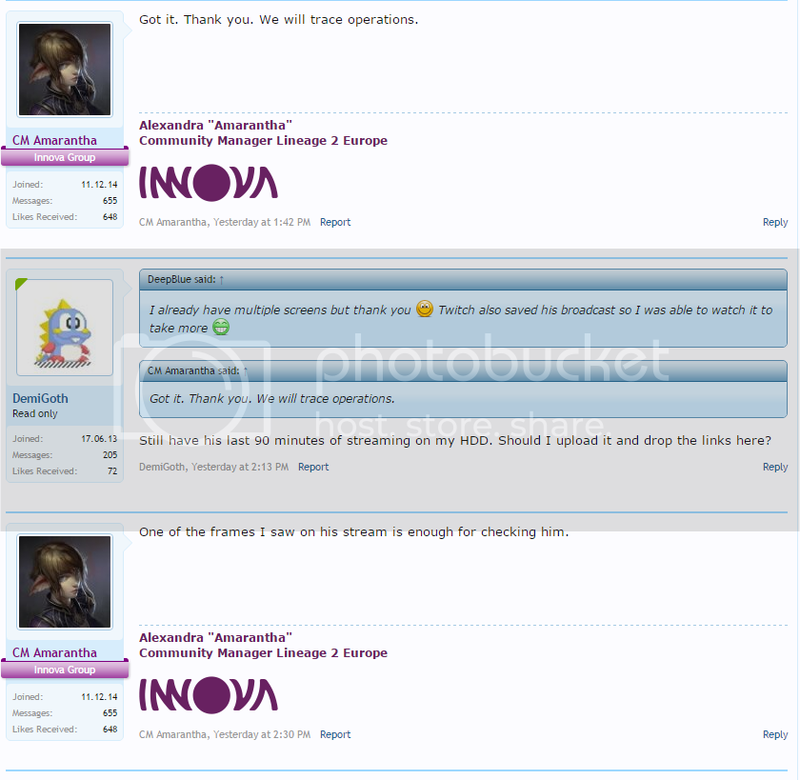 Well, it's very clear that Innova is totally lacking the intelligence to bring down one of the bigger adena sellers on the server. More over, other parts of the stram (I have 90 minutes saved on my HDD of it) also show that the whole party he was using to bot is in one clan. While these are 'played' by other players, Innova has clearly stated that when a player are in a party with a bot, that player will be punished as well for botting. In this case the clan information shows that at least 4 players are off the hook for their ban - WHY? Only thing left for me to do is to warn ANY POTENTIAL PLAYERS NOT TO PLAY ON THE INNOVA SERVERS. These servers are as bad as NCWest servers were during the subscription period of Lineage II. And while the CMs and GMs say that they TRY to ban bots and adena sellers, the truth is actually far from that. 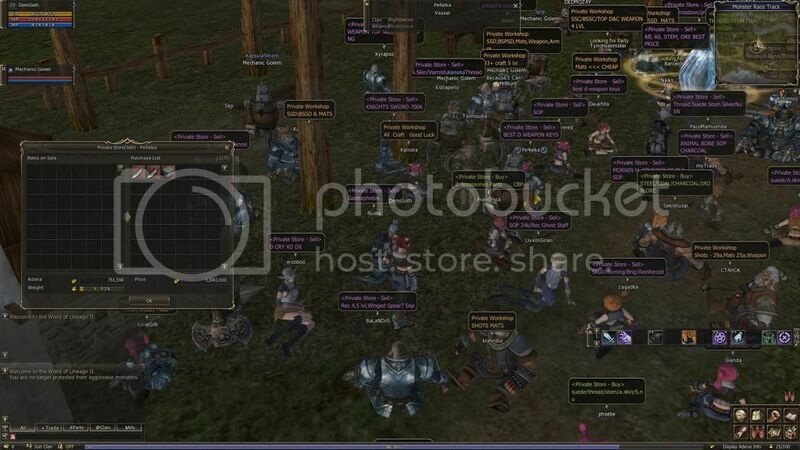 If you REALLY want to play a classic Lineage II server, best turn to a low-rate private one. Even while I don't support them, at least the GMs of some private Lineage II servers do take all it needs to kepe their server free from cheaters like this.